The Green Barrel | Just Shooting Memories! This is another shot from the Silent Guns of the South. 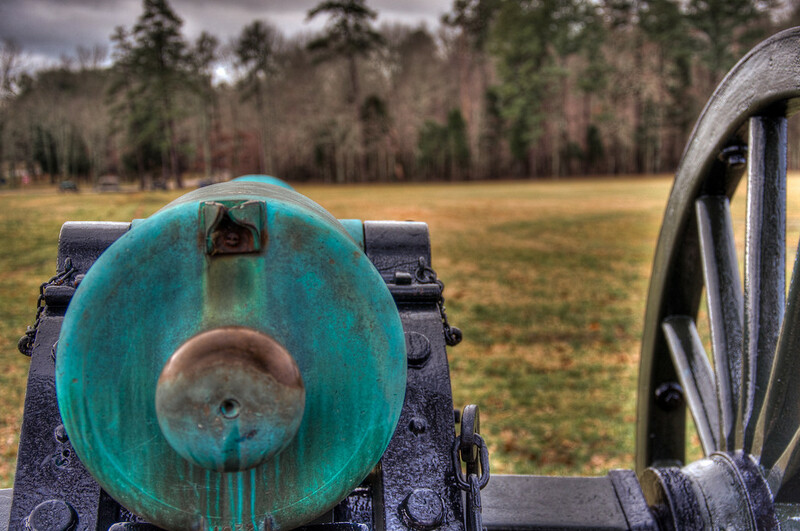 I took this just down the road from the visitors center at Chickamauga National Battlefield Park. I can almost feel the eyes of the soldiers just inside that wood line. It was cold, overcast and just downright gloomy while I explored this and of course it was too cold for the wife and kids to get out and enjoy it. But I made it up to them with a trip to the Tennessee Aquarium; Sans camera.